Incumbent Republican: Ted Davis Jr., an attorney, originally appointed to the seat in 2012 and reelected to the office since then without Democratic opposition. The most that can be said about him is that he's a seat-warmer who votes as he's told by the bosses. Democrat Marcia Morgan was an educator, became a career Army officer who retired as a colonel. She taught ROTC and did two tours at the Pentagon including a staff position with the Army Chief of Staff. 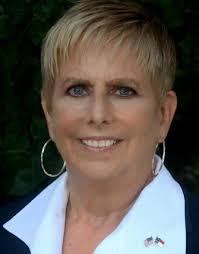 She says, "I have thoroughly enjoyed retirement and the freedom to do as I please, but the current political environment has challenged me to step forward once again. I do not have a background in politics, but I DO have a strong sense of service to this community and a demonstrated ability to accomplish difficult tasks. I believe we have a commitment to improve our economy, provide equal opportunities for all and protect our environment – and one of the fundamental ways to accomplish those things is through quality education." Incumbent Republican: Chris Malone has served on the Wake Forest town board, the Wake County Board of Education, and was elected to his current seat in the GA in 2012. He was criticized for inventing a tax increase lie (rated by PolitiFact as "Pants on Fire") about his Democratic opponent in the 2016 election, Terence Everitt, who came very close to defeating Malone. Malone famously voted for HB2 and then famously sent out a mailer saying he didn't support it, and he even more famously had a notorious romantic affair with fellow Wake School Board member Debra Goldman which didn't end well. Democrat Terence Everitt is challenging Malone for the second time. He lost to Malone in 2016 by just under 3,000 votes. 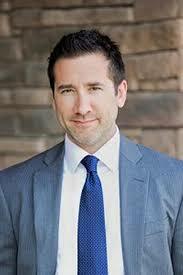 Everitt is a Wake Forest attorney. In 2016, Everitt's top campaign issue was school funding: "We need to fully fund our public schools and pay our teachers a salary that is at a minimum at the national average. Mr. Malone has voted time and again to underfund our schools. Many of our teachers are working two jobs to make ends meet or even leaving the state to find work for better pay. North Carolina has fallen to among the lowest in the nation in per-pupil spending and teacher pay. And yet, year after year, Mr. Malone has voted for budgets that do not adequately fund our local schools -- all while cutting taxes for large out-of- state corporations and millionaires." Note: Everitt will have at least one Democratic opponent in next May's primary -- Adam Wright, a business entrepreneur (and may the best candidate come out on top!). If you want to contribute to Terence Everitt's campaign, here's the link (https://act.myngp.com/Forms/8665933539777187328). Incumbent Republican: Scott Stone, who was an unsuccessful Charlotte mayoral candidate and who got appointed to the NC House seat in May of 2016 and won his first election in November of 2016. In other words, Stone doesn't have much of a record in the House but appears to be a dutiful foot-soldier for the bosses. 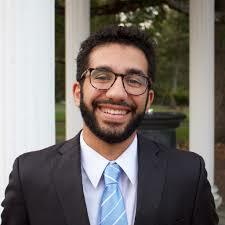 Democrat Ayoub Ouederni is a Charlotte native and is a recent graduate of UNC-Chapel Hill where he was the president of the UNC Muslim Students Association. He would be one of the youngest members of the General Assembly. He became a very outspoken opponent of Trump's Muslim ban last year. Ayoub says, "Our great State has always been home. It has given me my happiest memories, provided me with unparalleled opportunity, and I am forever indebted to my fellow North Carolinians for striving to make this the best state in the Nation. However, we have slowly lost our status as the beacon of the South. Seeing the deterioration of our state institutions has been disheartening. From lowballing our public school teachers and refusing Medicaid expansion, to politicizing our judiciary and disenfranchising minority communities, the state legislature in Raleigh -- the General Assembly -- has refused to set aside partisanship to pursue policies that improve the lives of North Carolinians. I am running for the General Assembly because we need thoughtful leadership and an injection of fresh, new ideas into our politics. Our elected officials must embody our core values of dignity, equality, and respect, and carry the burden that is entrusted onto them with honor and a sense of duty. We need a General Assembly that works proactively to improve the lives of our citizens and strengthen our State."